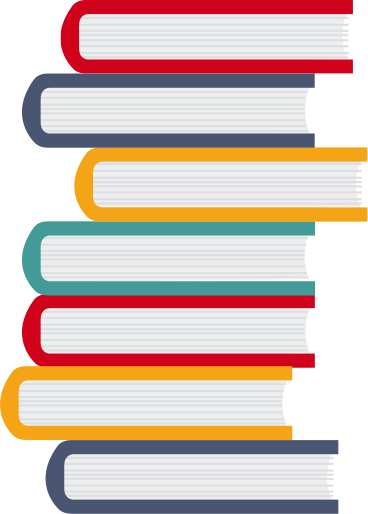 The best GMAT books that will get you ready for the exam. This GMAT Sentence Correction guide was created by examPAL and its team to help non-native English speakers better understand and remember the basics of the English language, especially everything that the GMAC requires in its GMAT test. The guide covers: subject-verb agreement, nouns, pronouns, choosing the correct form of a verb, modifiers, parallelism, and idioms. There are more than 5 candidates competing for every available spot in the best MBA programs. To get accepted to these programs you need to be one of the best. Using this comprehensive guide, you will learn how to excel on every step of your MBA journey, what admissions directors are looking for, and how to stand out in the crowd. Nova’s GMAT Math Prep Course: A large book focusing on the quantitative section, including 23 chapters of material review, over 600 practice questions and more than 150 examples. An extremely extensive collection of math questions makes this book perfect if your math skills are already good and you just want to practice, practice, practice If, however, you need explanations or a review of the fundamentals, look elsewhere. PowerScore Verbal Bibles: If you feel the need for a more in-depth focus on a particular verbal section, PowerScore has Critical Reasoning, Sentence Correction and Reading Comprehension “Bibles”. These each include detailed overviews of the section’s material, practice questions divided by question type and explanations of answer strategies of common mistakes. These can be useful, as many people find these sections difficult and hard to study for. Manhattan Prep’s Complete GMAT Strategy Guide Set: This is a large bundle of 10 books, each teaching a specific GMAT topic. These are: Fractions, Decimals, and Percents; Algebra; Word Problems; Geometry; Number Properties; Critical Reasoning; Reading Comprehension; Sentence Correction; Integrated Reasoning and Essay; as well as a book called RoadMap, which is a general guide to GMAT study. The books are fairly in-depth, teaching each topic at a basic level, and thus are a good idea if you feel a fundamental review of a topic is in order. You can buy specific books or the bundle as a whole, and purchase provides you with online access to Manhattan material as well. All of our video-interactive GMAT lessons are given completely free of charge for one month. Everyone can start studying and try our practice artificial intelligence technology (The PALgorithm™ ) for free. Books can be a great way to learn new things and enrich our knowledge with exciting ideas and stories. Books are also a great source for entertainment. However, books are not the ideal way to prepare yourself for the GMAT. The GMAT is a computer adaptive test. Books are neither a computer nor adaptive. Sticking to the old habit of studying with books has major disadvantages when preparing for a computer-adaptive test. Since the test is taken on a computer, using books makes us develop bad GMAT habits, such as focusing on the wrong things, writing our notes in the wrong place, or not getting used to the right interface (‘where do I find the calculator?!’). When preparing ourselves for something, the closer the practice is to the real thing, the better prepared we become. Also, since books are not adaptive, this it means we will find ourselves wasting time either on questions that are too easy or too hard for us (before we’re prepared for them). In the GMAT, every time we answer a question correctly, we get a harder question. When we get a question wrong, we will then face an easier question. The GMAT’s algorithm quickly identifies our level and shows us questions at around that level. Since that the way the test goes, we should practice coping with such mechanism. Books cannot help us with that. Like we said before, the closer the practice is to the real thing, the better the practice. This is why the only exception to the above is The Official Guide for GMAT. This is the only book with real GMAT questions, taken from previous exams, written by the same people who write the GMAT, and statistically proven to measure your skills against all other test-takers from around the globe. While the format is not adaptive, the Official Guide’s questions make for a great practice aid.